If you follow me on Facebook or Twitter, then you probably already know that I made a little detour Monday to the Emergency Room to get a blood transfusion. As I explained here, a low red blood cell count is a side-effect of ribavirin, my pink "girl power" pills, and my latest blood work from last Sunday showed that my hemoglobin had gotten too low. Now compare my values with the normal hemoglobin range for a woman, which is 12.0 to 15.5 grams per deciliter (per the Mayo Clinic.) When my hemoglobin level reached 8.5 g/dl, that was the critical point where medical decisions needed to be made to reverse the decline in my red blood cells. That first decision was a ribavirin dose reduction on March 19th and the second a blood transfusion on March 26th. Overall, I do feel better since the transfusion. I feel less like a rag doll (as my reader Mo so aptly described how anemia feels in a very nice comment she left me--thanks #13!) and more like a flesh and solidly-boned person. For now, just know that I am tackling every side-effect that comes my way and working to keep everything in perspective, as I continue to trudge my way uphill during this, the hard part of Hep C treatment. Want to be a member of Team Vampire Selena? My first Hepatitis C treatment milestone. Want to be a member of Team Selena? A weekly injection. 12 10 pills taken on a daily basis. A treatment I give to myself in the comfort of my home. treatment of an ailment by chemicals, especially by killing micro-organisms. My pink "girl power" ribavirin pills are a powerful but non-specific antiviral drug. This drug also suppresses bone marrow production of red blood cells; one of its most common side effects is something called hemolytic anemia. Ribavirin destroys existing red blood cells and impairs the production of new red blood cells in the bone marrow to take their place. Unfortunately for me, this kind of anemia cannot be treated by taking iron supplements or eating iron-rich foods, since the problem is not my body's ability to make red blood cells due to a lack of the necessary building blocks. In three weeks, my hemoglobin, the protein molecule in red blood cells that carries oxygen to the cells in my body, has dropped from 13.5 to 8.5 gm/dl, a 37% decrease. As a result, I have been experiencing shortness of breath, cold hands and feet, increased heart palpitations and devastating amounts of fatigue. Because the drop in my hemoglobin has occurred rather rapidly, I have experienced significant anemia-related symptoms quite quickly. More than anything else, the resulting decrease in my blood volume has made my Postural Orthostatic Tachycardia Syndrome (POTS) symptoms horribly worse. I have been closer to passing out when I go from sitting to standing than I ever have been prior to Hep C treatment. My pulse rate averages between 100 to 110 range at rest, my blood pressure has dropped as low as 100/66 and there are whole stretches of time where I feel so unwell I can barely move around the house. Sometimes crawling seems like a better option than walking! But I was prepared for this to happen. I called my neurologist at the Mayo Clinic and he told me that anemia and the resulting drop in blood volume would make my POTS worse. He prescribed a steroid medication called Florinef to counteract the effects of the anemia, a medication that my liver specialist finally agreed to letting me take on March 12th when we learned my hemoglobin dropped from 13.5 to 10.5 gm/dl during the first two weeks of treatment. So I was faced with my first serious conversation about treating serious treatment-related complications this past Monday. The topic of the day was all about anemia. Some of the first words out of the nurse practitioner's mouth were "blood transfusion" followed by cancer clinic, which happens to be where Hep C patients are sent for outpatient blood transfusions. And the cancer clinic she mentioned? Why it was the same exact one where I was seen 24 years ago and diagnosed with leukemia. However after the doctor entered the room, "dose reduction" of the ribavirin from six to four pills a day was the course of action prescribed. Luckily for me, I had already read about ribavirin dose reduction and how researchers have discovered that Hep C treatment-related anemia actually predicted a better response to treatment. So when my doctor suggested it, I was prepared to hear and accept his recommendation. Beside dose reduction and blood transfusions, a third option is using an inject-able drug called erythropoietin to stimulate my bone marrow to make more red blood cells. There is some controversy about using this drug because of black box warning issued by the FDA in 2007. Frankly, I feel better about the dose reduction option over the use of erythropoietin, but would use this new medication if faced with the discontinuation of Hep C treatment because of anemia. I left my appointment on Monday with a follow-up lab slip to check on the status of my anemia over this weekend. I began the dose reduction of the ribavirin right away too--as soon as I got out of my appointment it was time to take my 3 PM medications. Because of the anemia, going to my doctor's appointment felt like running the Los Angeles Marathon--literally! I was so completely exhausted that I slept for 3 hours once I got home just to recover. Thank goodness my husband drives me to my appointments, because I am so debilitated right now that there is no way I could get anywhere on my own. While my body says the does reduction is helping, the truth is I am not out of the woods just yet. My blood counts need to be closely monitored and further refinements to my treatment may be in order, including any of the three anemia treatment options I have mentioned above. So you see, the uphill part of my journey has begun. This is the part where when the going gets tough, the tough (a.k.a. me) get going. This is also where I hope the footprints on the beach go from two pairs to one, as someone sees I need some extra help, reaches over and carries me for a little while. PS This is also where I need you, more than ever, to support me anyway you can. Most of all, it's the people who touched my life back then that I remember the best. Even after 24 years, the feelings of love and nurture from people who went out of their way to support me during my eight month battle with cancer continue to live on in my heart. Just the other day, I remembered Mrs. N, a family friend, who sent me a letter every time I was admitted to the hospital to start a new round of chemotherapy. Mrs. N was my younger sister A's piano teacher. She was also friends with my mother. I can remember going to Mrs. N's house to pick up my sister and sitting in her living room listening to them play the piano as they were wrapping up their lesson. Now one of Mrs. N's daughters had had cancer a few years before me--I believe it was Hodgkin's disease, now called Hodgkin's lymphoma. Her daughter J had gone to the same high school that I had, but she was several grades ahead of me. So when I was diagnosed with leukemia, I asked my mother if her daughter would come visit me in the hospital and share with me her story of cancer treatment. Looking back, I sensed that J didn't feel like she helped me all that much. It was difficult for her to share her memories of her cancer treatment and probably even more difficult to be in a hospital visiting a cancer patient. 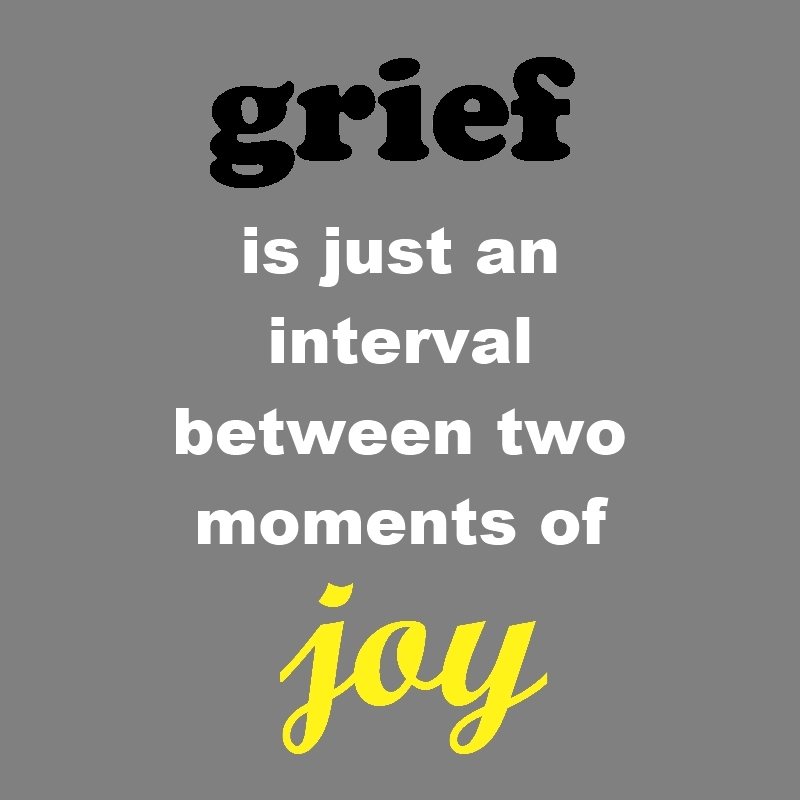 But J was living, breathing evidence that a young adult could be diagnosed with cancer and survive...and that was exactly what I needed in that moment. As for Mrs. N's letters, they always cheered me up. She must have gone to Aahs!, a local card and novelties shop here in Los Angeles, to purchase these crazy envelopes with messages like "Urgent: Your STD Test Results Enclosed." I know she did this to make me smile. Then inside the envelope was a letter with words of encouragement and hope that always made me feel good. The part the made me laugh is that she mailed these envelopes to me at the hospital! Can you imagine what the people in the hospital mail room thought when they saw a letter for a patient in an envelope like that?!? Ha, ha! It's wonderful people like Mrs. N that gave me the inspiration to invite you all to be a part of my current cheering squad. Mrs. N passed away almost 10 years ago and I am not sure that I ever really thanked her properly for her support back then. I'd like the think that the warm memory I am sharing with you today keeps her spirit of generosity and Christian love alive though she is not longer here with us. Head over to SignUp Genius and sign up to provide just one day of support for me while I am undergoing Hepatitis C treatment. With 21 days down and 147 to go, there are still plenty of opportunities to participate. Get some Post It notes and make affirmations to...remind yourself that you can do it! (Place them) on the bathroom mirror, bedside lamp, fridge and other places that (are highly visible to) you. The goal is to convince yourself, even when it seems daunting, that you can do this. The more you see, read and repeat these, the more it anchors in your brain and the more power you give yourself. Don't underestimate the power of your brain!!! This is (as much) emotional, mental and spiritual as (it is a) physical effort. I found these fab 3M 4" X 6" Post-it Sticky Picture Paper notes at Amazon.com which make printing out my images and following Kathy's advice super easy. How Do You Handle Chronic Illness Setbacks? Boy, don't you wish that living with chronic illness was easier? Even when you are doing everything "right," it seems like the littlest thing can upset your balance and suddenly everything can come crashing down around you. Then all the progress you've been making is gone in a flash and there you are, back at square one. It's in those moments I feel the most sorry for myself. I've dealt with more setbacks than I care to count. That's because I'm not one of those lucky people whose chronic illnesses, once diagnosed, can be corralled and tamed into a reasonable submission. No, I am one of those people whose chronic illness symptoms have either stayed the same or gotten worse, depending on the time period, despite considerable time, energy and effort to achieve a different outcome. Right now I am experiencing a huge setback. This is the outcome of my choice to undergo Hepatitis C treatment. 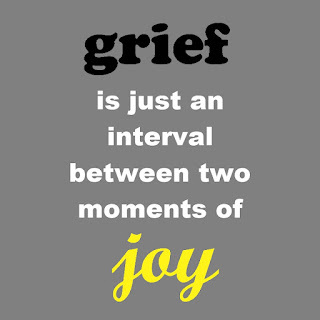 And while my current state is not unexpected, it did surprise me with a mother load of anger, frustration and self-pity. Seems I was pretty comfortable with my solid 30 on the activity scale and so anything less than that has me, momentarily, questioning my sanity and choices. So what am I doing to cope? Recognizing that I currently have just a few precious hours of energy to spend on activities each day. Limiting the number of activities I attempt each day and letting everything else just be for now. Paying more attention to what times of day work better for me and scheduling activities accordingly. Incorporating a rest period after every activity, from 15 minutes to 1 hour. Asking for more help and delegating tasks when I can. Taking advantage of more time and energy saving conveniences, like frozen meals, takeout and online shopping. Napping and sleeping a whole lot more. Lowering my expectations to meet my reality and working on being mentally and emotionally OK with that. Showing more compassion and understanding towards myself. Basking in the love and support others are showing me right now. Making sure I do something fun and soul-sustaining every day. Praying to the Universe to give me the strength to get my through my current challenge. So how do you handle setbacks? What strategies and coping techniques help you deal with a decrease in functioning when your symptoms increase? Please add to my list by sharing your ideas and thoughts in a comment below or over on the Oh My Aches and Pains! Facebook page. Wow, what a day I had yesterday. First I was so weak I couldn't feed the cats or make my weekly batch of yogurt. Then I started having weird abdominal pain. On top of that, I think I spent more time asleep than awake in the last 24 hours. All my new symptoms won me a trip to Urgent Care for an exam and blood work. Which was fine with me since I was due for blood work anyway--my first since starting Hepatitis C treatment 14 days ago. I go back today and get the results. Plus I get a chance to mention to the doctor all the things I forgot to mention yesterday because I was so overwhelmed with feeling bad. At the end of the day, I'm not sure they are going to find anything specifically wrong with me. My own best guess is that my body is adjusting to treatment, and between the medications taking effect and the virus dying off, my body is just not a very happy camper right now. Despite all the problems, I still consider myself a lucky girl. I have my husband Robert, who was so concerned about me he worked from home yesterday so he could keep an eye on me and take me to my doctor's appointment. He's stepping up and taking care of me and I am so grateful. It's in these moments that I love him the most. But I'm not letting this stop me from continuing onward. Whatever is going on with my body right now is not serious enough for my medical providers to stop treatment, so I am soldiering on because a bump in the road is not the end of the road. I just need to take a deep breath, dig deep and then figure out a way to grin and bear this. So please excuse me if I need the next several days to figure out how to adjust to whatever "new normal" this treatment is imposing upon me. And don't let my absence worry you. Rest assured I am in good hands and receiving good care, so there is nothing to worry about, I promise. Can You Feel the Love? I Can, Thanks to You! I know I spend a lot of time here talking about ALL my chronic illnesses, and then I ask you to leave comments, head over to my Facebook page or become one of my Hep C Treatment Supporters. That might leave you with the impression that doing all this stuff is easy for me. Would you be surprised if I told you this is actually hard for me? Like a lot of you, I sometimes feel stigmatized by all my health problems. I really don't want to be labeled "sick" and I certainly don't want to deal with all the baggage that comes along with that label. Sometimes I think having invisible illnesses is a double-edged sword: sure I can pass for healthy, but sometimes that doesn't really get me what I need to cope and thrive. I am not oblivious to the reactions of others. I get it that "healthy" people don't really want to know the details of how you really are. I can see how uncomfortable they get if you talk too much about your health problems. I often find myself walking that razor thin line of 'appropriate vs. over' sharing...and wishing I really didn't have to worry about this at all! Deep down, I would much rather be talking about a whole bunch of other things, like the stresses of daily life and making it in this crazy world. Because you know there is so much more to me than just being a sick chick. Sure, I try to include some of the other facets of my life into my blog, but in the past few years chronic illness just hasn't given me a break and, well, here I am. And if I am really honest with you, I should admit that chronic illness has changed my experience of "normal" life in some pretty fundamental ways that really can't be ignored. It often leaves me longing for "normal" things and feeling like I really don't fit in. But I am also a risk-taker at heart. And I'm not a girl who likes to be labeled and boxed. So over the past several years, I have been putting more of chronically ill self out there, sharing more about all the ways chronic illness has shaped and molded me into the person you see before you today. So when I decided to purposely ask for your support during my Hepatitis C treatment, I had to expand the borders of my comfort zone yet again. The Bible says "Ask and it will be given to you..." But when you are sick, you can find yourself in a position where it feels like all you do is ask for help. Let's not forget that asking for help is HARD--for everyone, but especially for those of us who are sick. I mean, who wants to come off as always being needy or pushy? So despite a lot of good reasons not to, I took a risk...and now I am really feeling the love! You have come through for me BIG TIME and I am feeling so much support and gratitude that it is actually bringing tears to my eyes. 168 Days. Let's break this down: 1 + 6 + 8 = 15. 1 + 5 = 6. Six. Twenty-four weeks of treatment. Let's break that down, too. 2 + 4 = Six. You may not know this but the planet Venus rules the number 6. Venus, the goddess of harmony and love. Harmony and love that I, with all of your friends, family and supporters are sending you during this trial in your life. During this hardship I hope every time you see the number six -- on a clock, in passing, hell, even on the panel of the microwave -- I want you to know that it is your power number for this time and it stands for love and harmony, which you have in abundance! What an amazing way to think about my treatment! This is just one example of the many, many ways you are blowing me away with your support. What can I say? You all are just awesome. So for those of you sitting on the fence, afraid to ask others for the help you need, let this post inspire you to just do it. I bet you'll be pleasantly surprised by all the love that is out there waiting for you...including some from me too. Week one of Hepatitis C treatment has come to an end...only 23 more weeks to go. As someone much wiser than me once said, "A journey of a thousand miles begins with a single step." Well today I have finished 7 of the 168 days of my Hep C treatment journey. Hi, this is Selena from the blog Oh My Aches and Pains! And I have just completed, with your help, week one of my hepatitis C treatment. 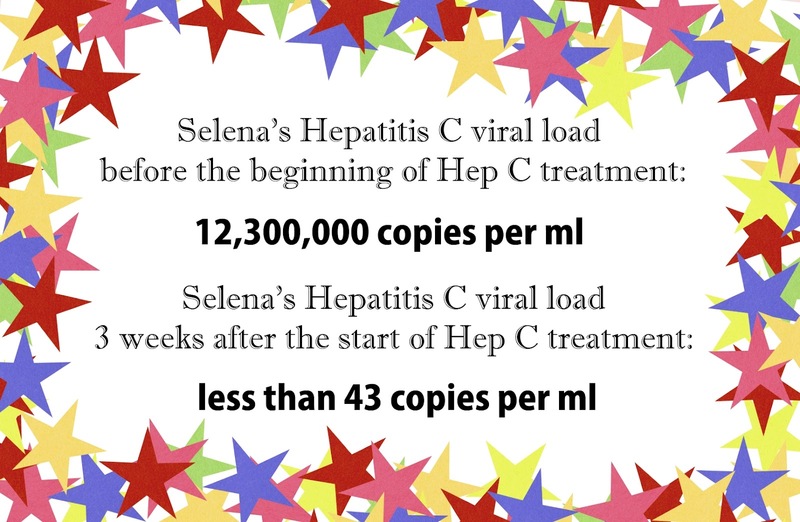 I could not have done this without you guys, with all of my Selena's Hep C Treatment Supporters. You guys are the best with your messages, your (Facebook) wall posts, your "Likes", your tweets, your comments, your e-mails. You guys are really helping me to keep my spirits up and keep me focused on my goal here which is to beat Hepatitis C.
If you haven't already headed over to SignUp Genius and signed up for a support mission, hey head over there now. I've got 24, no 23 more weeks of this treatment to go, so I can use all the support I can get! And if SignUp Genius doesn't work for you, hey that's cool; do whatever works for you. Just keep those messages coming and I can't tell you how much they mean to me. Now I do want to let you guys know that I have already had some side effects this week, but so far everything has been manageable. I've also been dealing with a little bit of stress with my healthcare providers, trying to getting them to listen to me and incorporate some of my needs into the treatment protocol. I found out before I started treatment that we really have to watch my red blood cell count closely because if I get anemic from treatment it's going to make my dysautonomia worse. And dysautonomia is what got me into trouble last time I tried the Hepatitis C treatment and it made me have to stop the treatment after three weeks. You know, this has kind of involved calling some of my other healthcare providers, not the liver people, to get them involved. And I also made a choice to call Patient Relations when I felt like hepatology folks weren't really listening to me. 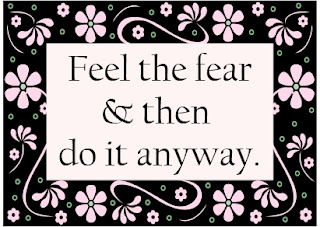 You know I was a little apprehensive about doing it, but what has come out of that is an appointment Tuesday with my doctor (and) with the hepatology nurse. And I'm feeling a little more confident today that if we get to sit down and talk, like we are going to be able to, that we can figure this out and come up with a plan, involve more of my other treatment providers if that's appropriate, and then we can kind of just move forward. Again I want to thank you so much for all of your support and I can't tell you how much I appreciate it. And so now I've got to get my act together and start making some of those cool giveaways for my end of Hep C treatment party I promised you guys. So, keep sending the support, I am going to keep putting your names into the raffle for the end of treatment party. I will also share with you as the weeks go on, some of things I'm going to make, the cool kind of give away things. I think you guys are going to like them. But anyway, I just wanted to let you know that I'm here and I'm doing okay. And thank you, thank you, thank you! And I think that's it for now. So take care everybody and have a great weekend and I will talk you again soon. This is Selena from the blog Oh My Aches and Pains! One week down, 23 to go. Woo hoo!